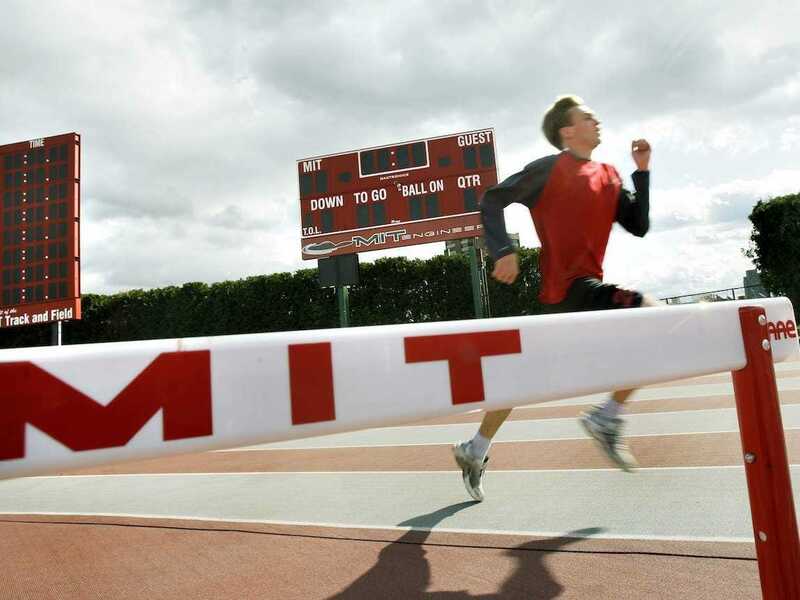 For a school that’s probably best known as an academic juggernaut, MIT hosts a surprisingly active social scene and topped our recent list of the biggest “Work Hard/Play Hard” colleges in the country. To compile this list, we used data from Niche, looking at its rankings of the best party schools and schools with the best academics, smartest students, best Greek life. Niche’s college section — College Prowler — features close to one million in-depth student reviews on more than 8,000 schools. We’ve got the partiers (typically frat/sorority kids, the “cool kids” from high school who manage to go out every weekend night and still pass their classes), the chill kids (kind of like stoners, except not as hard-core; MIT’s hard enough without being high ALL the time), the quiet kids (self-explanatory), the nerds (your typical high school nerd/dork, except here it’s COOL to be a nerd), the hackers (these guys love to build cool stuff and explore areas of campus that maybe shouldn’t be explored), and pretty much anything else you can think of. All of these groups interact and overlap constantly, so there’s no reason you can’t party one day and hack the next. The school’s Greek community — although currently facing sanctions and put on hold for the year — is well regarded for hosting an active nightlife that attracts students from across campus. Its estimated that about 50% of undergraduate male students join one of MIT’s 26 fraternity chapters, and almost a third of female undergrads join one of six sororities. Students who would rather not participate in Greek life can often find a social outlet in the MIT dorms, which each have their own unique personalities, down to the specific floors and hallways. Because of the many different options in living, students can basically find any type of party at any time. “One really good thing about MIT is that you get to pick where you live, so you get to pick the kind of party culture in which you’d like to participate, whether you want every weekend night to consist of raging alcohol-fuelled bacchanals, popcorn and quiet movie nights with your best buddies, or anything in between,” one student writes at College Confidential. However, when students outgrow the frat or dorm parties that define their first years on campus, they have a new and even larger social landscape to explore — Boston. Aside from the scores of other colleges nearby, students can check out local bars, clubs, and other nightlife options that only a city can offer. In regards to the “work hard” part of the equation, there is no doubt that MIT has some of the most intense academics in the country. The university has a well deserved reputation as an educational powerhouse in a range of fields — from engineering and other applied sciences, to linguistics and the humanities. I’m not going to lie, academics at MIT is challenging. But it makes you think. You’re not just handed the answer or asked to regurgitate what the professor has taught you. You solve problems, learn the underlying principles of complex ideas, derive equations that you were given in high school in order to figure out how things work, and do so much more. MIT brings new meaning to learning, and they make sure you get out truly knowing what you have studied. MIT professors also get high marks from their students. “The professors are amazing. You’ll probably learn from Nobel laureates and future Nobel winners. A lot of professors will discuss a topic in class and casually mention, ‘I figured this out in my graduate research’ or ‘my lab made this discovery.’ The curriculum is challenging but very interesting and doable,” one student writes on Niche. Even though they might be spending most of their time hitting the books, MIT students still seem to find the time to have an active social life, earning them the title of the most intense college in America.